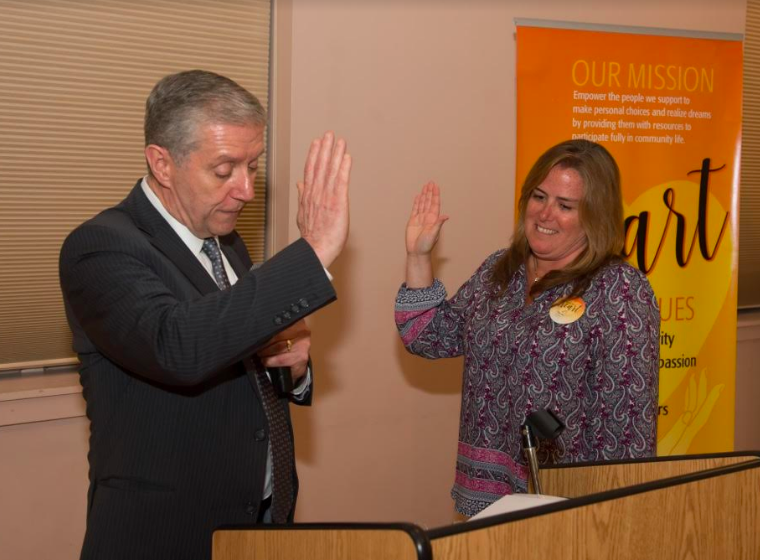 Jackie Curtiss of Pearl River New York was inaugurated as President of The Arc Rockland during a May 15 ceremony at The Arc headquarters in Congers, NY. Ms. Curtiss has been a Special Olympics coach for a decade, and she was a member of the Pearl River School Board for 15 years. She and husband Kenny are parents of three: Ryan, Danny and Kelly.